and was forfeited by Patrick McGuire. 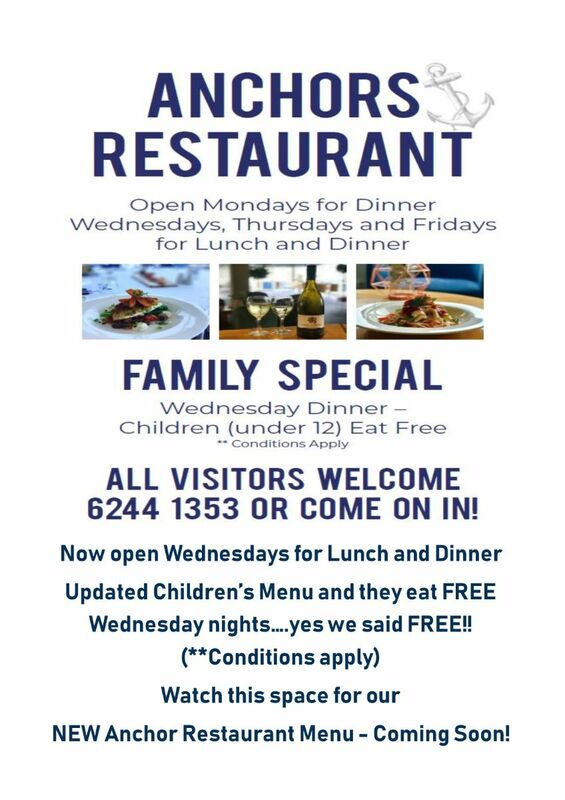 Come along on a Monday evening for our Members night and be here for the chance to claim our Jackpot! The BYC 2019 AGM is scheduled for 26th June and there are several vacancies for new Board Members this year, for a more inclusive Board we would like to see representatives from all areas of the Club. Why not support your Club and the sport you love by becoming involved on the BYC Board! Commodore (Manny) is inviting YOU to consider nominating for one of the BOARD MEMBER vacancies prior to the up-coming Elections. Board - 4 membersThe role of a BOARD MEMBER is both rewarding and challenging, this is an incredible opportunity to volunteer a little time to serve on the Board, to be part of a Committee, make decisions and contribute towards making our great club even greater.There are exciting times ahead with major decisions and developments planned and as Commodore I need PASSIONATE and COMMITTEDmembers to show an expression of interest in becoming a Board Member and assist in seeing these developments reach their fruition.To be eligible to stand as a Board Member you must be a financial Senior/Family member of the Club for at least one full year.If you are interested, speak with one of our Flag Officers or Board Members. Contact our Office to arrange your nomination form. As previously advised General Manager Phil Jackman is in “Transition to Retirement” effective following the Club Annual General Meeting on Wednesday 26th June 2019. The club has commenced advertising to fill the position, refer below for full details. 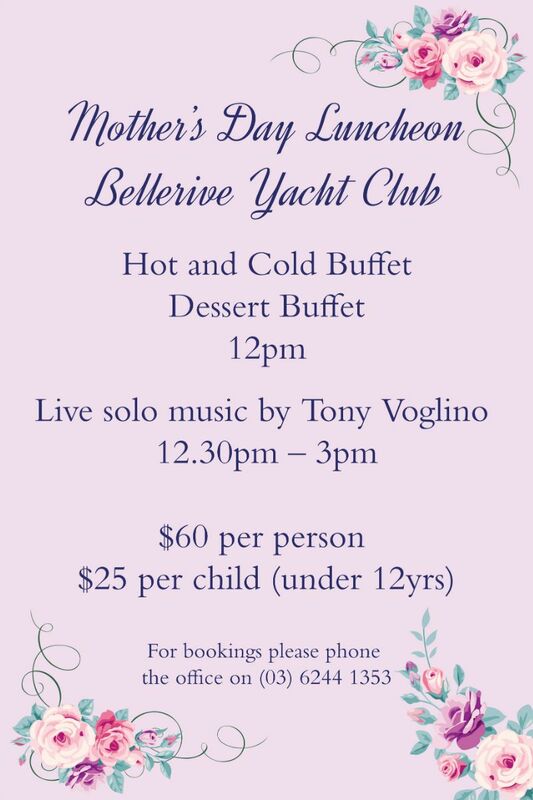 Bellerive Yacht club is acknowledged as one of the leading yacht clubs in Hobart located on the Eastern Shore. The Club has provided boating facilities for in excess of 90 years and currently provides a wide range of services from the well-respected Food & Beverage facilities to a Marina and Slipway with ample parking. Re-development of the Marina is currently in the final application stage. This role would suit an applicant who has a high level of experience in management or business administration. Managing a recreational facility or similar commercial operation is desirable and will be well regarded. This is very much a hands-on role and we are looking for someone who accepts the operational management and development of Bellerive Yacht Club including day-to-day management of staff, finance, facilities and membership. This role requires flexible working hours with some evening meetings and events. Be sure to support these sponsors when possible. Talk about tight at the top - 20 tipsters are within 2 points of each other while in a tricky round 4, Chris Garity & Leigh Harvey each selected 7 winners. There is no truth in the rumour Leigh enters after hours of a Sunday evening! There’s plenty of challenges over the next 2 short weeks - just make sure you’re in good shape for round 7 when double points can be earned. Saturday Night Rewind with DJ "Marls"
and was forfeited by John Toohey. The role of a BOARD MEMBER is both rewarding and challenging, this is an incredible opportunity to volunteer a little time to serve on the Board, to be part of a Committee, make decisions and contribute towards making our great club even greater.There are exciting times ahead with major decisions and developments planned and as Commodore I need PASSIONATE and COMMITTEDmembers to show an expression of interest in becoming a Board Member and assist in seeing these developments reach their fruition. To be eligible to stand as a Board Member you must be a financial Senior/Family member of the Club for at least one full year. If you are interested, speak with one of our Flag Officers or Board Members. Some reasonable progress has been achieved in the last month. We have finally received Crown Consent and Clarence City Council have acknowledge they are happy to proceed with assessment of the Development Application. They now have 42 days to process the application and, in this time, it will be publicly advertised. The planning department at Council will then make their recommendation to go to Council for approval. We will need to campaign our members to lodge positive representations as well as try to get local business to support by means of lodging representations. Hopefully we won’t have too much trouble and there won’t be too many negative representations lodged. We have purchased an additional mooring this month bringing the total now to three. Phil is working on others. We met with Bellingham Marine yesterday to discuss them quoting the project. At this stage given that we are wanting to use the Bellingham product, there is no point in going to tender as such, but we have requested that they go to the market on components such as piling and demolition. They are hoping to have a price back to us in three weeks for the on-water component of the works. Once we have this, through Burbury Consulting we will then work on getting pricing for the remainder of the works such as the Dinghy Storage. This will then allow us to go to financiers with fixed construction cost. We have also been advised that Council will be going to tender on the Public Pier in September to commence works in March 2020. We are writing to Council to confirm this. 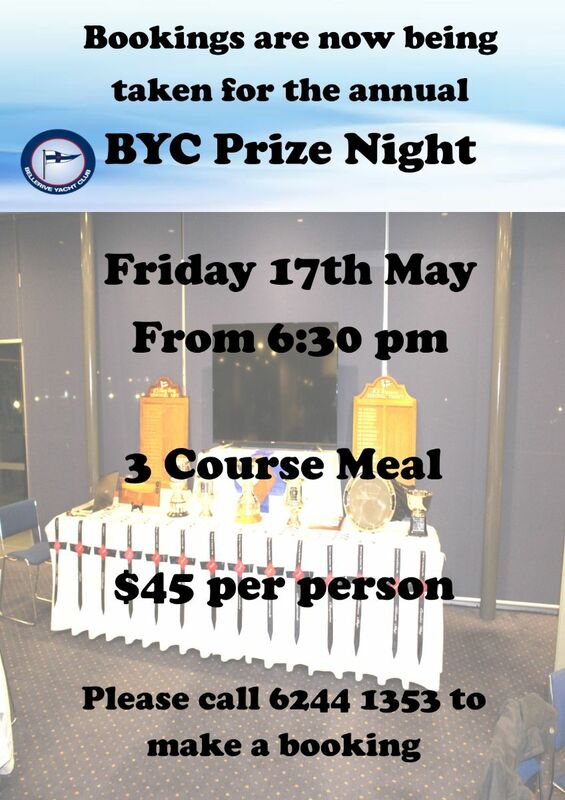 Club Training Coordinator is seeking assistance from member(s) or non-member that have an old 6 or 8 man Life Raft available that they would like to donate for BYC training programs being progressed. Please advise our Office of an available Life Raft. 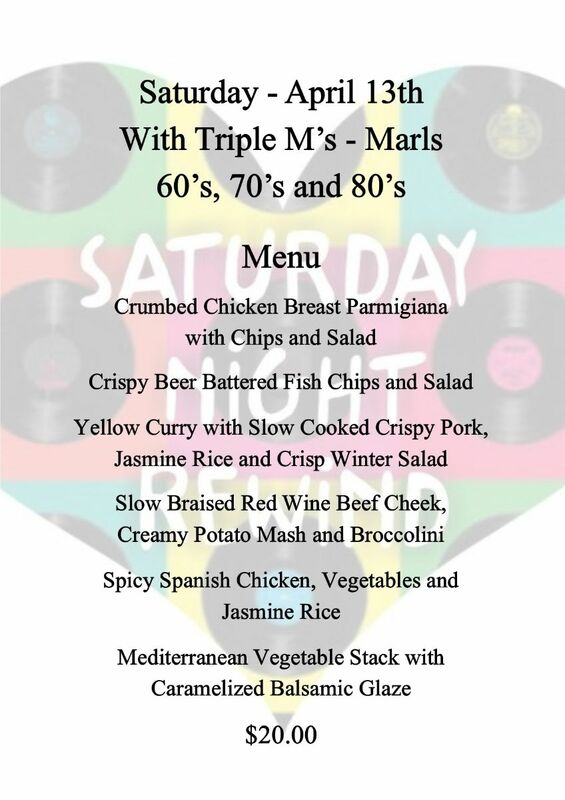 This Saturday night we have “Saturday Night Rewind” with DJ Marls. 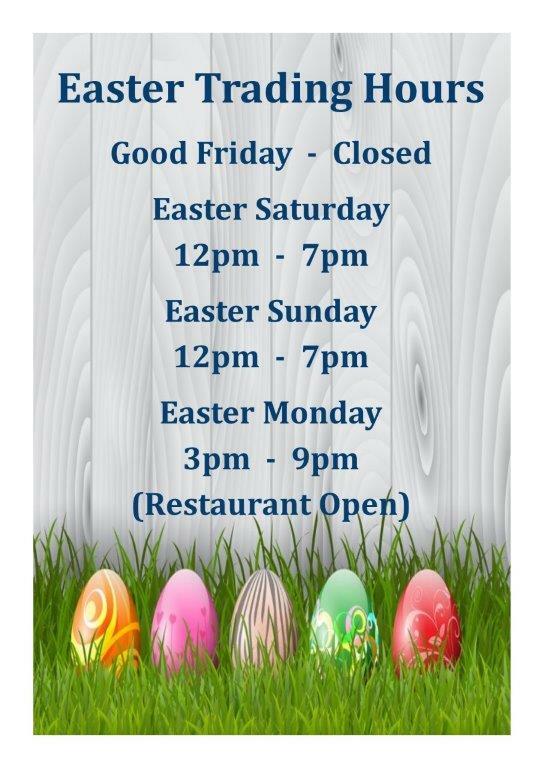 We will have new bar and restaurant menus, starting Monday 15th April. 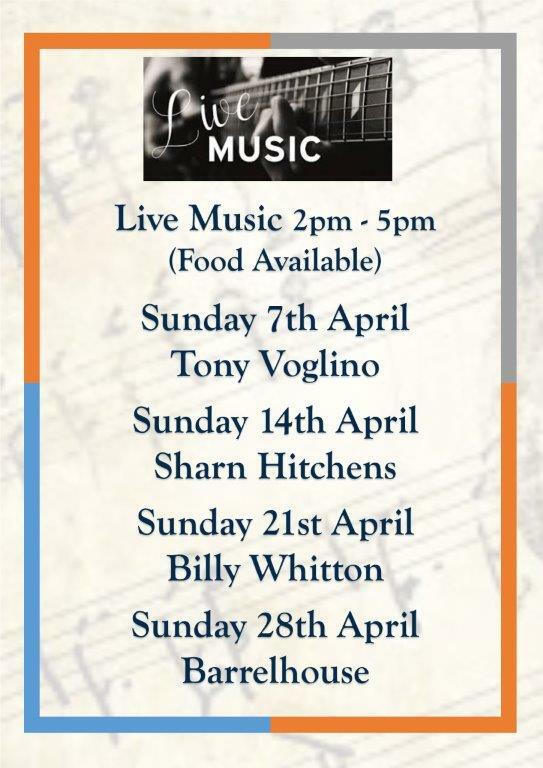 As well as a some specials, so watch this space. If you have any feedback or suggestions please email them through to me at fandb@byc.org.au or pull me up when you see me. As the Suns continue to rise, tipping remains a big challenge but well done to new-comer Wes Costa - 8/9 in another tough round. Carlton are due for a win & the Tigers are missing key players in the battle against Port.Good luck for round 4! Olympic aspirants, Tasmanian high-performance female sailors, Jasmin Galbraith and Chloe Fisher, begin their European campaign in the 49erFX skiff Olympic class in Germany this week. Joining them at the famous Kieler Woche (Kiel Week) regatta on the Baltic Sea is another young Tasmanian sailing an Olympic class dinghy, Jock Calvert, this week ranked as 29th in the world in the single-handed Finn class. Galbraith from Hobart, and Fisher from Launceston, are the only women’s 49erFX skiff sailors in Tasmania, sailing out of Sandy Bay Sailing Club. Overnight, they were due to start competing in Kieler Woche, sailing in the exciting women’s 49erFX Olympic skiff against a fleet of 64 mainly European women sailors. Their ultimate goal is to represent Australia one day at the Olympic Games, as is the aim of Calvert, an off-the-beach member of the Royal Yacht Club of Tasmania. The major focus of Galbraith and Fisher’s, and Calvert’s European campaign will be to represent Australia at the World Sailing Championships held in Aarhus, Denmark in July and August. The World Sailing Championships will count towards qualification for the Olympics, and it will host all 10 Olympic sailing classes with 1,500 competitors from 100 nations and an estimated 400,000 visitors. Galbraith and Fisher came together as a youth sailing team in 2015 when they started sailing the fast moving 29er Skiff, where they found great success. Last year, they transitioned into the exciting Women’s Olympic 49erFX Skiff. In late 2017, Galbraith and Fisher were the first Tasmanian sailors in over 30 years to podium in a World Youth Sailing Championship, winning the bronze medal in the 29er Skiff class in Sanya, China. Calvert, who is competing on the second leg of the European summer sailing circuit, has steadily improved his performances in the demanding single-handed men’s Olympic dinghy, underlined by his word ranking of 29 in a highly competitive fleet. 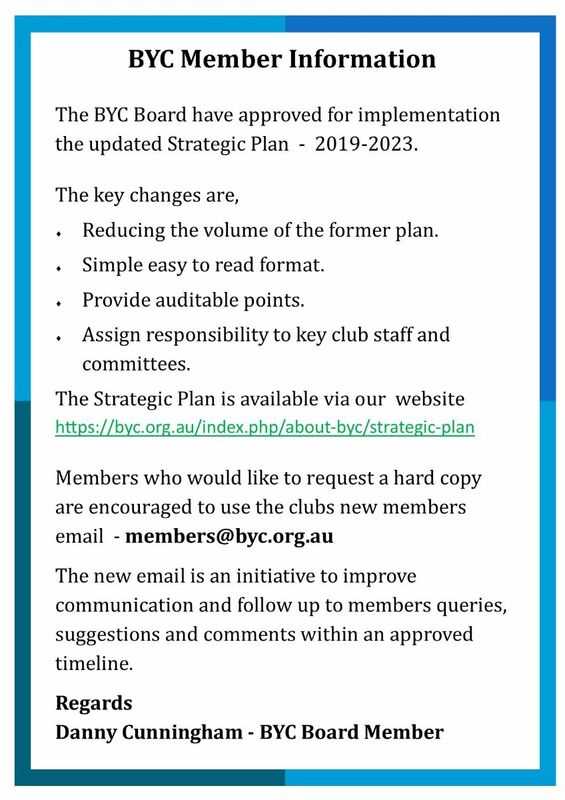 Newsletter Home About BYC --About the club --Sponsors --Flag Officers and Board Members --BYC Constitution --Links --Strategic Plan Results --Current Series --Past Results ---2015-2016 ---2016-2017 ---2017-2018 --Banjos Shoreline 2019 Results Sailing --Sailing Documents 2018-2019 --Race Reports --Race Entries 2018-2019 ---Race Entries --Sailing Calendar News --BYC News --Newsletter --Subscribe to the Newsletter Social Events --Sunday Sessions --Mother's Day Luncheon Facilities --Clubhouse --Restaurant --Marina --Slipway Functions Membership --Membership Form --Membership Benefit Scheme Anchors Restaurant Contact --Phone & Address --Email .